What is a lens kit? 1. What do you want to use your kit for? 3. How much do you want to carry? 4. Autofocus or Manual Focus? 5. Zoom or Prime? A mix of both? A lens kit consists of a few lenses that (usually) cover different focal lengths and should work well together for your needs. A kit can also be built towards a certain task, like travel, wildlife, portrait, architecture photography or anything else that comes to mind. This is obviously the most important to figure out. If you are heavily into wildlife you probably want to look at those longer tele lenses and at the same time have little need for an ultra wide angle lens. If you are more into architecture photography it will be the other way round. For portrait you might favor faster lenses to get that shallow depth of field look, for landscape you may need to hike a bit and therefore prefer lighter, slower lenses. This is also a very important aspect. You might have already figured out a kit that works perfectly for you, but those lenses are too expensive, so you have to compromise. My personal recommendation is to spend more money on the lenses you intend to use most. If you only use that 2.8/400 super tele two times a year it may not be the greatest idea to spend big money on it. You might consider one of the slower 150-600mm zooms or just rent that special purpose lens when you need it. Sometimes third party manufacturers offer more reasonably priced lenses. That fancy Sony FE 24-70mm 2.8 GM is too expensive? Maybe have a look at the Tamron FE 28-75mm 2.8 instead. Often you can save money when going for (legacy) manual lenses instead of the newest AF lenses. The rule of diminishing returns also applies to lenses. You can take very nice pictures with that $20 Minolta 1.7/55. If you buy the Sony FE 1.8/50 for $200 you get a modern lens with AF and much better coatings and better contrast. If you spend four times as much again for the Sony FE 1.8/55 you get a nicer feeling lens, sharper corners at wider apertures and smoother bokeh but someone without a technical background probably won’t notice the difference. Spend twice as much again on the FE 1.4/50 and you gain half a stop, exceptional sharpness and much better CA correction but again: your partner is much more likely to notice the depleted bank account than the difference that it makes for your pictures. The importance of weight depends a lot on your shooting circumstances. For a multi day mountain hike every gram counts and weight will be the most important factor in deciding which lenses to bring and slower lenses will often be the best choice. For reportage work on the other hand one wants to be prepared for any situation and gear can usually be stored or carried without too much inconvenience so other aspects become much more important. I am pretty sure for those of you into sports photography this is easy to answer, you want fast and reliable AF (which means in most cases you should stick to native lenses). Same goes for most wedding photographers or just parents with young children. For architecture, landscape and macro photography on the other hand you might even prefer manual focus lenses because they can be more enjoyable to use. Many manual focus legacy lenses are very affordable and you can build a solid kit for just a few hundred dollars with them. Some people prefer the flexibility of zoom lenses while others prefer the (often) superior image quality, smaller size or the faster maximum aperture of prime lenses. This is also a really personal decision. Some people can spend a near infinite amount of time figuring out what focal length gapping works best for them. Some of you cannot sleep well when they haven’t covered every focal length gaplessly, in that case you pretty much have to resort to zoom lenses. If you want to build a kit of prime lenses there will be gaps so you should really figure out what focal lengths are most important to you first. Bastian tries to have roughly a gapping of focal length x2. So something like 21mm, 40mm, 85mm. Or 12mm, 25mm, 50mm, 135mm. With that gapping he still has enough resolution for cropping to get the framing of focal lengths not covered directly. You can also resort to a simple 3-shot-1-row-in-portrait-orientation panorama to cover the focal lengths inbetween at higher quality. He found that when carrying lenses that are closer in focal length, like a 35mm and a 50mm, one of those two he only uses very rarely. Phillip usually carries a set of the three primes 21mm, 40mm and 110mm. Compared to a 21/40/85 kit he trades a close to 3x gap for a little more reach. For some people this is the most important aspect while others don’t care about it at all, so what is this about? Lenses are not only differentiated by focal length and maximum aperture, there is much more to it: Bokeh, contrast, correction of optical errors, shape of sunstars or color rendition, to only name a few. The sum of these optical qualities we call rendering. Again, to the trained eye these qualities can be pretty obvious while a bystander will only raise his eyebrow while you talk about the quick transition to a low contrast out of focus background with very little spherochromatism. For certain tasks it might be preferable for all the lenses in your kit to “look the same”. For Bastian this is definitely true for wedding and also architecture photography. He wants to spend as little time as possible with post processing and it helps when in terms of colors, bokeh and sunstar rendering the output of lenses is very similar. So if rendering is important to you it might make sense to stick to the lenses of a certain manufacturer and also from roughly the same era. The big manufacturers put quite some effort into making sure the output of their lenses looks the same. We will mostly cover native lenses here to keep this article somewhat short. Nevertheless it should be noted that for Canon EF mount there are many fast zooms available that adapt well to newer generation Sony cameras (gen 2 or newer for fast AF, gen 3 for eye AF). AF is not as good as on a native lens when it comes to tracking, but might still be good enough for your needs. We also have an article on affordable manual lenses that might be worth a look if you are running on a tight budget. These are all well balanced lenses in the Sony ecosystem and if you don’t need a faster maximum aperture they will go a long way. If you need faster zooms you have the choice between the GM lenses (better build quality and bokeh) and the Tamron lenses which are significantly cheaper and smaller mostly due to their more restricted focal length range. 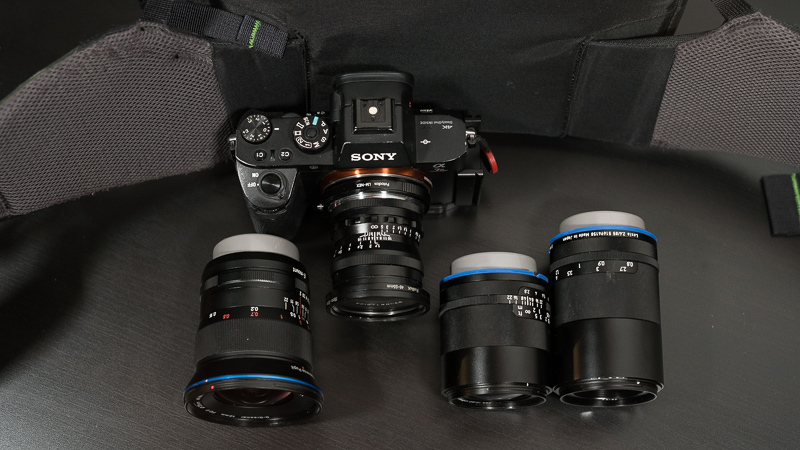 This is a kit of Sony’s current “cheap” prime lenses. Personally I think the gapping of these 3 is too narrow. I would advise using a wide zoom instead of the 28mm 2.0. These offer a bit better image quality than the aforementioned primes and while still being lightweight and reasonably compact they are noticeably more expensive. If you like fast lenses with nice bokeh and money is not really an issue a kit of the 24/50/135 will surely give you great results. If you care less about bokeh and are focussed primarily on sharpness and resolution Sigma offers a full kit of prime lenses from 14-135mm which yield comparable levels of sharpness that you should have a look at. The Zeiss ZM/Loxia and Voigtlander VM/E lenses mix really well, they are all manufactured by Cosina and usually share a 10 blade aperture diaphragm (some newer Voigtlander lenses have 12 blades, still looks nice). These lenses usually offer superior flare resistance and contrast, but vignetting is on the high side. When I travel size is a very important aspect, so I want my lenses to be small. To capture unforgettable moments I also want high image quality, so these are very high resolving lenses. I also do a lot of blue hour and backlit shooting, so I want nice sunstars (all lenses feature well defined 10 stroke sunstars) and I need good flare resistance. These lenses also share a 52mm filter thread, which is nice to have. The lenses are all manufactured by Cosina, so color rendition is very similar. None of these lenses is super fast and they are all manual which saves some weight. If often complement this set by bringing an ultra wide lens. So if I was to do some astrophotography on a given trip I would be using the Laowa 2/15. As there is no really close focusing lens in this kit I often carry an extension tube to use with the 85mm. For architecture assignments I really want the outcome of the different lenses to look the same to save some post processing time. The Canon TS-E 17mm 4.0L is without question my most used lens for this type of shooting so I built this kit around it (all these lenses feature pretty much the same color rendition and 8 aperture blades). My architecture shooting is mostly tripod based and around f/11 so I don’t care about a fast maximum aperture. Weight and size of the lenses is also less of an issue. The TS-E 45mm 2.8 offers the same “Tilt/Shift shooting experience” as the TS-E 17mm 4.0L which I like. The TC 1.4x II turns the 17mm 4.0 into a 24mm 5.6 Tilt/Shift lens which is still good enough stopped down and saves me money for another lens. For detail shots I am using the Canon EF 70-200mm 4.0L USM. I really like shallow depth of field in my portraits so all of these lenses are pretty fast. For some portrait shootings the AF of the Sony FE 85mm 1.4 GM comes in really handy, but for others it is not that important, so this kit is a mix of autofocus and manual focus lenses. Every now and then I like to take a Brenizer/Bokehpanorama. Before I was using lenses like the Canon EF 200mm 1.8L USM or the Olympus OM 180mm 2.0, but as I don’t do this regularly I had many dollars sitting around unused most of the time, so I decided to use that crazy Visionar 168mm 1.9 for these instead. This set is geared towards my landscape/ nature photography. 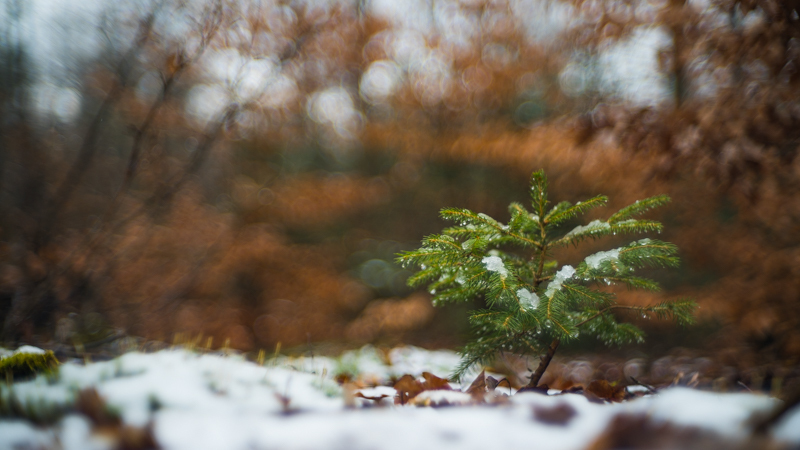 When I am on my own I prefer to take my time and to work with manual focus primes. When I was still a student my budget was very limited, so I used mostly rather affordable older lenses. 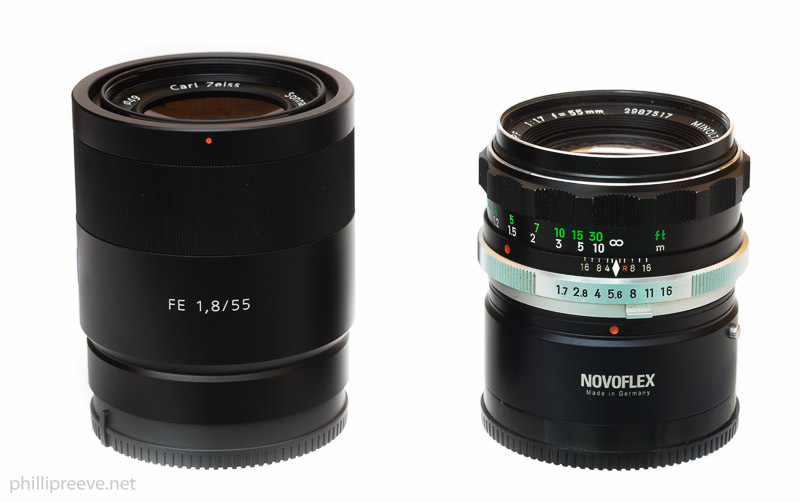 Noways my budget is a bit bigger and I value the better flare resistance and more comfortable handling of native lenses. I am not very concerned about having the perfect lens in any situation but I know that I can capture almost anything well with this set. Since I don’t do any astro photography I don’t need a fast wideangle so I decided against the heavier Loxia 2.8/21 and chose the tiny 3.5/21 instead. The 1.2/40 is very versatile because of the focal length and the speed. The 2.5/110 Macro doesn’t get used much in the macro role but also delivers excellent results for landscapes and works well enough as a portrait lens. For more strenuous hikes I will replace the rather heavy 2.5/110 Macro with a tiny Zeiss 2.8/90. Most often I travel with my gf who isn’t a photographer and having a Zoom with AF speeds up operation a lot and reduces the amount of time she has to wait for me. The 40mm is close to the 35mm end of the zoom but that is weakest at the long end. so important landscape images as well as environmental portrait the Voigtlander still gets a workout. The 4/300 usually stays in the car and gets used for occasional wildlife photography. I have been a lens collector and a manual lens lover for a long time. The big caesura that changed my kits (there were quite a few) was the birth of my son. Nothing changes the course of life as as much as this and from one moment to another, my photographic needs changed totally. The pictures that matter and mean the most to me are the images of my family and therefore I need lenses that have AF, speed and good rendering. This is also helpful for the portrait-, baby- and wedding photography outdoors and in the studio that I like to do whenever I find some time. Nevertheless my passion for landscape and architecture photography is not completely gone, so my kit has to fulfill that job as well. All these lenses have in a good amount of manual lens controls (AF/MF switch) and linear manual focusing in common. Having the AF/MF switch on every lens leaves more space for the other custom buttons on the camera. The Sony FE 1.4/24 GM and the Sony FE 1.8/85 are the core of the kit and work also as a pair of two lenses. Both lenses focus very fast, are sufficiently sharp and work for portrait and landscape scenes. It is also welcome that both lenses have 67mm and about the same size. I carry my smallest kit in a Peak Design Everyday Sling 5L*. The standard focal length is the one I am the least happy with. I would prefer a 50mm lens with a lens button and moderate size but this is not available yet (except for the odd 2.8/50 macro). The Sony 1.4/50 ZA is very heavy (778g) but optically the most exciting lens in that focal range. Whenever I feel limited by its size, I take a smaller lens (FE 1.8/50) and when I need more flexibility, I take the Tamron 2.8/28-75 RXD. Very soon, this kit will be rounded by two lenses that I will grab for special purposes: The new Tamron 2.8/17-28 RXD looks very small but is reasonably fast and the new Sony FE 1.8/135 GM seems to combine stellar IQ with great AF speed and macro-like capabilities. When I’m at home I have access to too many lenses (due to excess enthusiasm) so it’s when I travel that I have to think hard about kits. For me there two main types of travel kits: wilderness hiking, and regular travel. For regular travel I want AF for occasional people pictures. I also find a longer focal length sometimes helpful, and I can tolerate a bit more weight. I like an ultra wide because it’s very handy for interiors, and the Batis 18mm is a lovely sharp no hassles ultra wide, and I sometimes use AF with it wide open for extreme environmental portraits. The GM 24mm 1.4 does more moderate environmental portraits with great bokeh, as well as being a very fine landscape lens. It’s also plenty sharp enough to crop a little in situations where I want something between it and Sony FE 55mm 1.8 ZA, and can’t easily do a pano with the 55mm. The 55mm is a lens many are annoyed by, including me (if only it had more contrast, better MF, less CA) but, astonishingly, it remains the best compact AF lens you can get, perhaps for any mount. It’s very sharp, much more so than classic nifty fifties, and easily earns in the place in my travel kit over the (much nicer at wide apertures) ZA 1.4/50 which I only take if I know that people photography at wide apertures is a central part of the trip. If I expect to take relatively formal indoor portraits I’ll take Batis 85mm, but more often I’l take Batis 135. 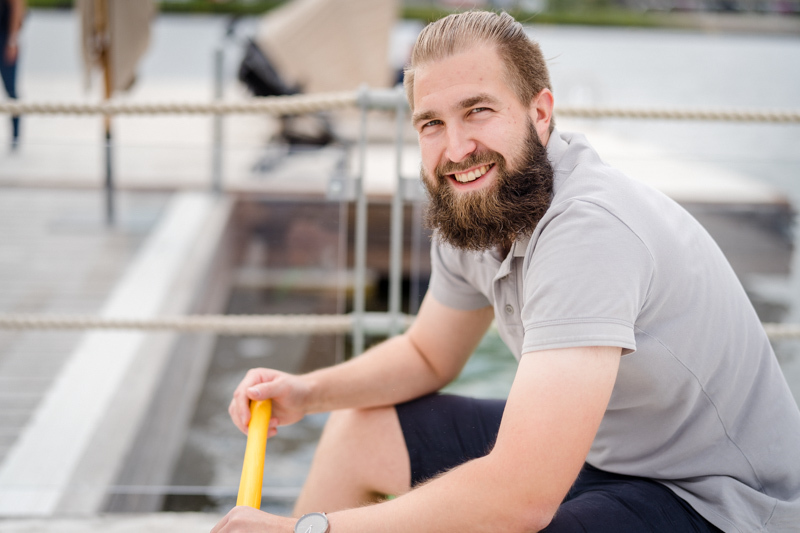 It is great for outdoor portraits, and for general travel work it’s like having some of what’s good about a 70-200 f2.8 in a relatively tiny and light package with better quality (as long as you are shooting 135). This is a very typical hiking kit (though sometimes I might cut it down to three lenses). No need to say anything about the Loxia 21mm, except perhaps focal length is worth commenting on. For wilderness landscapes 21mm is about as wide as I usually go. 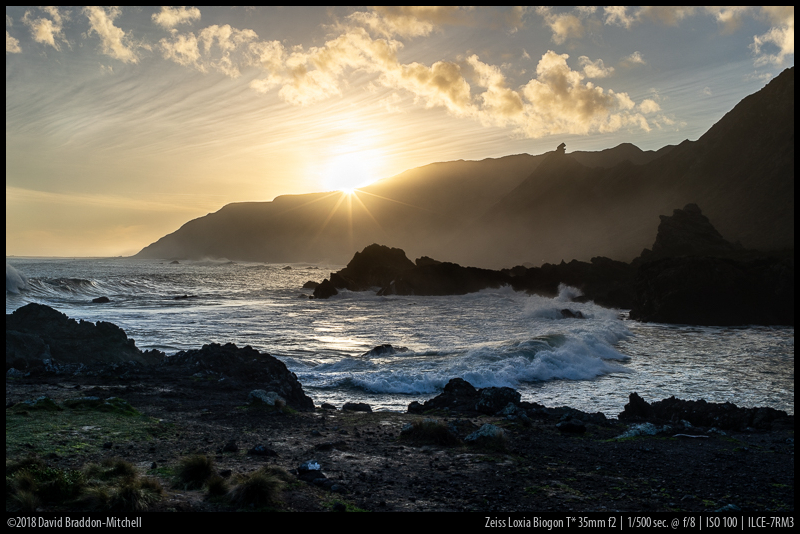 I don’t, therefore, feel the need to take wider – especially as when moving water isn’t in the image, it’s possible to get wider with pano anyway. The Loxia 35mm is a great, contrasty, performer stopped down for landscape, and I’m a fan of that classical 35mm look. The Sony macro is extremely light, so I can just add it to the kit for the occasional botanical macro shot, which it does very well, and it’s also a surprisingly good performer at infinity, so it does duty as a 50mm landscape lens too. Finally the Tele Tessar goes with me on every multi day hike. It gives high sharpness and great sunstars in a tiny package. My kit is a bit different from the kits of the rest of the team. Since my budget was very limited until recent, cheap legacy lenses fill gaps every here and there. My focus is on landscape photography so good sharpness across the frame stopped down and good flare resistance are important criteria for me. Small size is also important for my hiking trips. 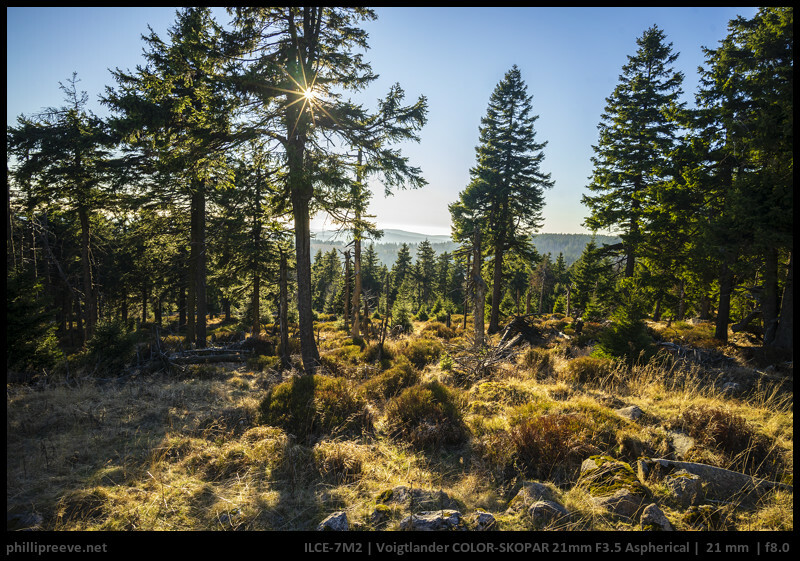 The Voigtländer and Loxia meet these criteria well and cover two very different perspectives. In case I need a specific bokeh rendering I pic one of my vintage fifties with better or very distinct bokeh like the Pentacon 1.8/50. The Nikkor is relatively cheap but very sharp stopped down and flare resistance is good enough for most situations. This makes the Nikkor an interesting wide angle option for who’s on a tight budget. Recently I got a SMC Pentax-M 135mm f/3.5 which is now the tele lens in my kit if. It is very small and light, stopped down sharpness is very good, contrast is nice and sunstars are lovely as well. Only flare resistance isn’t very good. In the near future I will add the GM 24mm f/1.4 to my kit at the expense of the Nikkor. It will give me the speed I need for milkyway photography and nicely fits the gap between the Voigtländer and Nikkor in case weight doesn’t matter. We hope we could give you some ideas on how to assemble a lens kit that works for you and what to look out for while doing so. You are also invited to share the kits that worked best for you in the comments! Hi everyone. Great article, tips and reviews as always. My personal travel kit is voigtlander 15 4.0, voigtlander 50 1.4 and the voigtlander 180 4.0. Not so close glasses specs as the experts above. I tend explore extremes (very wide, portrait + bookeh, tele) so that to have more creativity opportunities and different angle and perspective views for the shots..considering changing the 15 for Zeiss 21 2.8 for landscape and have the capacity to use filters and maybe some nigth or astro photos. For day to day, family, sports and beach I use sony 24-70 GM. Personally I grab minimum gears for what I do. Tamron 28-75 F2.8 and Canon 70-200 F4(sometimes with kenko teleconverter 1.4) for press conferences, Sony 55 mm f1.8 and 90mm F2.8 with a tripod for hiking. Now I’m planning to build a portrait kit for my young nephew. I’m thinking about adding Canon 135mm F2 or Samyang 85mm F1.4 or Sony 85mm F1.8. I guess I’d wait for april A7m3 firmware update(enhanced tracking feature) results with each lenses. Very good review and tips! Very helpful. I started with Sony FE55 1.8, and then Sony 16-35 f4. I bought a Loxia 35 f2 a few days ago and still exploring my needs. I love 55 1.8 for that can wow my wife which somehow helps justify my depleting the bank account. I have a uncertainly now as I have both 16-35 and loxia 35. Can you help me see though the reason to keep both? 16-35mm lenses are usually weakest at their long end. 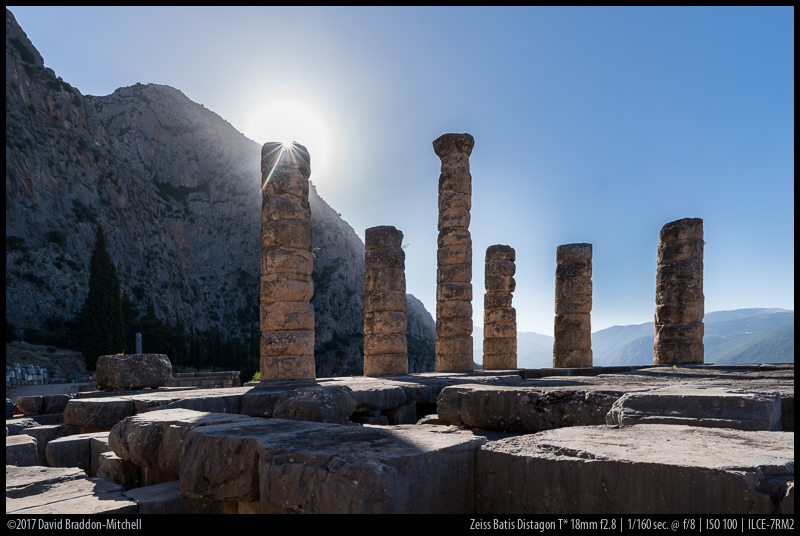 The Loxia should also have noticeably higher contrast stopped down, better sunstars and better flare resistance. But if you end up not using it at all because the zoom is “good enough” no reason to keep it. In 2014 I jumped on the A7 Fullframe wagon but decided to jump off again (cost & weight) and continue with the A6500 APSC camera. – If I am undecisive, I have the 18-135 3-5-5.6 zoom lens (in my opinion, corners are far better than the 16-70 Sony Zeiss that always gets mixed results) to be complimented with one or more of the prime lenses above. – hard to choose between 35 and 55 Zeiss. Il often ends up carrying both witch is easy considering 35 weight/size. – decision making process and Lens changing sometimes make me feel I would have enjoy a single 24-105 zoom. But Im not ready (yet?) to give up on IQ and lightweight camera handling. It s all about identifying out real needs and being aware of GAS syndrom. Eventually we end up on this top notch blog to look for someone else insights about his own needs 🙂. – a faster wide angle lens for environmental portrait. – a macro Lens (I am also considering Lens extenders). “G90 focus process without magnification” — you can have magnification set on a button. I had this lens, it’s a real piece of jewellery. Replaced it with Loxia 85. For me, a very good balance between compact-/lightness, image quality and “focal length coverage” / flexibility without having to constantly change lenses (which with the Sony is something to be careful with because of sensor dust…). Hehe, I have the exact same lenses, very happy so far with this kit! I just purchased a 250mm 5.6 so it may join the list and will push back to 1st selection. I have a A7rii (given the significantly decreased price) and a techart pro which was very convenient (especially with no need to change the adapter0 but the techart only worked for 3 months and then stopped working. Such a pity as it did not develop any wobble or things like this and was great for snap photos, just seems to be mechanically blocked as it tries to move when I switch the camera on. That’s sad to hear about the Techart. I bought one and it’s about 2 months, and would really miss it if gone. I have all my kits end in Leica M mount (leicaist or good brand), so can use several bodies (m4/3 and E for now). One of them Minolta kit which I love, and would typically carry 20mm 2.8, 58mm 1.4, 105 2.5 (sometimes 135 2.8 or 200mm 3.5). Awesome! I have different lens kits for different purposes, but as a default I choose my Batis 25mm, Sony 55mm and Samyang 135mm. Love that trio so much. I often end up adding a fourth one: my Laowa Zero D 12mm with Magic Shift Converter. That lens is awesome. It does both ultra wide 12mm and ultra-ish wide 17mm tilt-shift. I often kick myself when I don’t bring it. If working with zooms, I love my Sony 16-35mm GM, Sony 55mm and Tamron 70-200 G2. I had the 24-70 GM, but I exchanged it for the 16-35, which I’m happier with. The 24-70 GM was just not as sharp in the corners as my Batis 25mm and it really bothered me. And at 70mm, the Tamron is better. And the 55mm is better and faster. As a small carry around, I really like the Sony 35mm f/2.8. 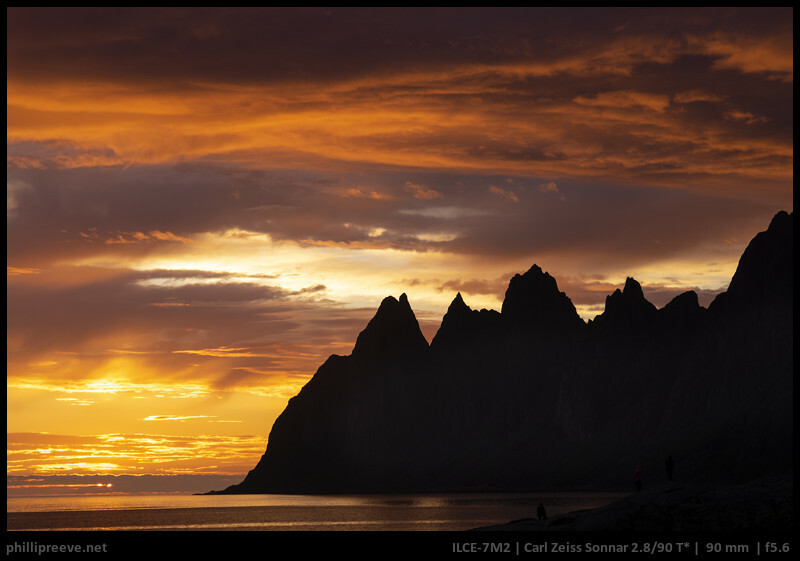 Only the newer Samyang 35mm f/2.8 is more compact, but the Sony is sharper. I also have Sigma’s 35mm ART, and that’s the kind of lens I bring along when I know I’ll shoot low light. Bright, sharp and more affordable than other similar lenses. If I had the Sony 24mm f/1.4 tho, I might ditch both the Batis and the Sigma ART. But it’s a tough decision, I love both lenses and 35mm is a focal length I really appreciate. Would like to reorganize this setup by adding Loxia 21/2.8 and Voigltander 35/1.7. My budget is against, negotiation in progress. I am trying to reduce my kit to a set of three (max. four lenses), so they all of them get properly used. I use the camera to document family life and some occasional landscape stuff, so I’d like to remove the complexity of owning too much gear. The 55 and 135 are here to stay, but I like the idea of replacing the 20, 28 and 35 with the 24 GM (Simplifikation through GAS!). BTW: For a daily camera (e.g. on my commute), I first tried the A6000 and FE28/2, then an X100F (did not like the soft close-focus wide open and the non-tilting screen) and now have a Canon EOS M6 with 22/2 STM, which will fit in my cycling jacket back pocket. Thanks guys for the article, it is an important issue for many of us. I often struggle when picking my “lenses of the day” and i wish i were a more experienced photographer to know how to use my gear to its full potential and know it’s limitations better. I have no experiences in building a kit so far, so i often stick to my FD 50mm f1.4 as an all-purpose lens and add whatever seems necessary. I’d love a light/small landscape kit in the 16-85mm range but don’t really see this in my above list (probably GAS?). Most of my lenses were pretty inexpensive for what they offer, some i got practiacly for free, so keeping them, even though i rarely use some, is not too hard to justify. Thank you for the article and a glimpse in to how the team thinks. I’ve been collecting quite a few lenses over the last several years and it is time to purge down and get to the essentials. I’m probably going to do a mix of the af/mf as well as prime/zooms, as I have a set of twins that even a sony 85mm 1.8 has a tough time keeping up with and my wife is becoming more interested in photography. She wants nothing to do with MF so it will be a couple of AF zooms for her. I am more interested in the prime kits and tend to prefer MF. I am still questing for the Goldilocks backpacking set for landscape. Usually packing for 7 to 10 days in complete autonomy so weight / volume is a huge concern. Last fall my setup was: Voigtlander 15, ZA 35, ZA 55. Big plus of that set is both unused lenses fit in a single backpack belt pocket, and the camera bag attached on shoulder strap is tiny (Sony a7r1). The downside is that swapping lenses when you are worried about pace is not really happening, and I was missing the flexibility of the 16-35 ZA. Also, the 35 ZA manual focusing is terrible for Astro. So I am back to a tweaked setup: larger camera bag and 16-35 ZA, ZA 55, and new to the kit laowa 15 f2 for Astro. While this kit should be smoother to use, it does strike me that the laowa is as heavy as my 2 person tent 🙂 and I might switch to the 24 gm (was extremely impressed with that lens) for Astro, lighter and best of both worlds, manual focus and auto. I am also still thinking of the 16-35 gm, which has outstanding IQ and would nix the need for dedicated Astro lenses – plus the opportunity to compose these night shots. The weight is ok ( much lighter than 16-35 ZA + laowa 15 or gm 24), but the volume is the challenge – I would need a quite large camera bag to accommodate this one, also the size/weight is enough that it turns handheld shooting into a somewhat muscular exercise over time. Have you considered CV APO Lanthar 4/180 ……if you want an f4 travel long lens. Jannik has almost the same kit as I do: 24GM+85GM+PD5L Sling!!! I also agree with his comment on 50mm. I have the Loxia 2.8/50mm for standard focal length, and quite satisfied with it. Thx for the article, i love this site! had these lenses in rome with me and took some great shots with them. The laowa 15mm worked extremely well inside the many churches. Bought the 24mm gm recently for indoor photos of my daughter. I am looking forward to add the rumored ~70-200mm 2.8 tamron to my kit. And maybe the upcoming samyang 85mm 1.4 for portraits. Great article guys! Enjoyed reading it as well as many other articles over the course of a few months. Found myself waiting for more stuff from y’all. I have Sony 28f2, 55f1.8, 85f1.8 kit + Soviet Tair 135f2.8. In the market for for UWA. Any recommendations that would complement my existing set without overlapping with other lenses? It will be used mostly for landscapes. You can have a look at our 10-20mm UWA lens overview and our 21-35mm WA lens overview. I feel so broke in comparison to everywhere else. I can “only” afford the Tamron 28-75, FE 50mm, and looking for one more wide angle. Was going to go back to the 28mm F2 (I had it but sold it for the Tamron), but think I’ll try to save for the tamron zoom coming out this year. Also, thanks for putting the bit about the difference in the 50mm to the Zeiss 55. I keep wanting it since 50mm is my most used FL. But honestly, I like to shoot wide open a lot, and corner sharpness, therefore, isn’t that important. Makes me feel better about not having it! I don’t think the FE 28mm 2.0 makes much sense for you honestly. Maybe wait for the Tamron zoom or the rumored Sony 20mm lens. Great, thanks for the reply! I’m excitedly waiting for the Tamron 17-28, and I am hoping the price is around $800 USD (or at least the same as the 28-75). I’ll have a well rounded kit if I can just get my hands on that! That’s my exact set up now Matt. Anxiously awaiting the Tamron 17-28. But honestly, I’m not hindered at all with my two lens kit. 40+ years ago, people were going for 28-50-135 or even 35-50-135 mm as a standard set of lenses… until proper zooms appeared. How do you explain the perceived move towards wider angle lenses?.. or at ;east, it is the impression one gets..
Maybe it allows those taking photos, to avoid the typical range of a mobile phone, and also good cheap teles have been around for decades, but wide angle, you need to use a good one, and also learn it’s characteristic, but offers more unique results in capable hands. It’s also more artistic, and if you don’t know what you are doing, the photo will be extremely uninteresting/dull. Great article as always. I’m finally accepted that I have a problem with GAS and I am trying hard. to work out how rationalise my lens collection. Normally I only take three prime lenses (four at a push) and choose between the Zeiss 35mm F1.4 and the Sony 24mm F1.4GM. I’m thinking now of selling the 35mm F1.4 but the gap between 24mm and 55mm is sometimes too large. The F4 70-200mm normally stays at home unless I need the extra reach and the venue is outside or very well lit. To be honest I find the 70-200g F4 frustrating as it doesn’t produce reliable results in less than ideal light or at 200mm. From what I’ve read the F2.8 version isn’t much better plus the size, weight and price put me off. F2.8 would be far more useful. I recently rented the Sony 16-35mm GM to try and work out if it could replace the Batis 18mm and Sony 35mm F1.4. Whilst I enjoyed the flexibility I found it bulky and difficult to squeeze into my Peak Design Everday Sling 5L which I deliberately use to reduce weight and force myself to limit my lens choice. In the end I couldn’t decide whether it would work for me to replace those lenses. I find the Batis 18mm great when hiking as it is so light but the form factor is still large especially with the lenshood. I’ve also acquire in the last few weeks a used Sony 100mm-400mm GM zoom which I use to photography nature and architecture. This is a lens I only take when I have a specific use planned for it. It fits on the camera and in my 5L sling if I take out all of the dividers. I‘d really like to optimise my kit and get rid of some of the duplicate focal length or less used lenses. When I travel I spend quite a bit of time choosing my 3-4 lens selection. 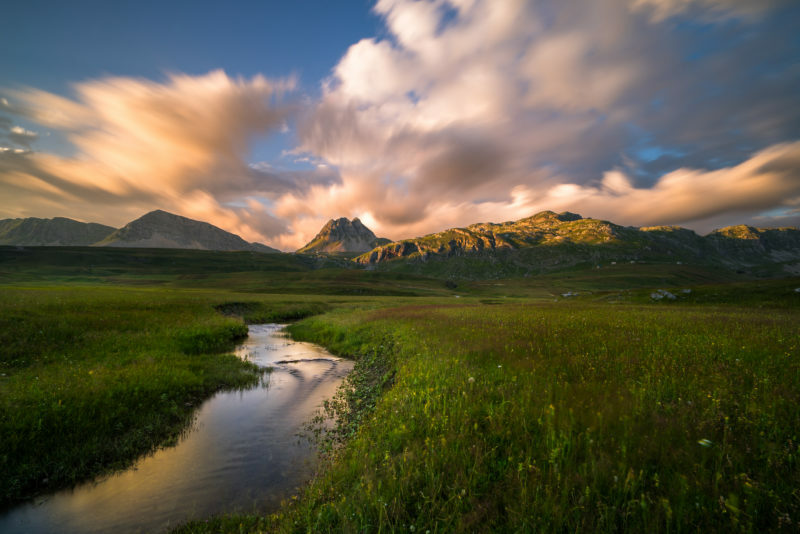 Although my main photography-related interests involve hiking and travel, I particularly enjoyed Jannik’s comments about how photography can follow life stages. When my child was tiny (and following a timely burglary), I changed out my Contax and Mamiya gear for an autofocus system, and, like Jannik, I particularly enjoyed an 85mm lens–not because it could produce creamy backgrounds and only-one-eye-in-focus portraits but because it excelled at tracking a toddler. Now that my daughter has finished college, I’m back to mostly manual focus; since I prefer a lightweight kit, I venture out with only one or at most two of the four lenses that I purchased after perusing this site: a Loxia 2.4/25, the ZM 1.4/35, a Sony 1.8/55, and the nice little ZM 4/85. That’s a very good point. And sometimes, I force myself to a “kit of 1 lens”. It limits you in a way that makes you proactive and purposeful, where you actively start seeing with the angle of the lens you carry, and think like the lens. And your feet and how you walk is also greatly affected. 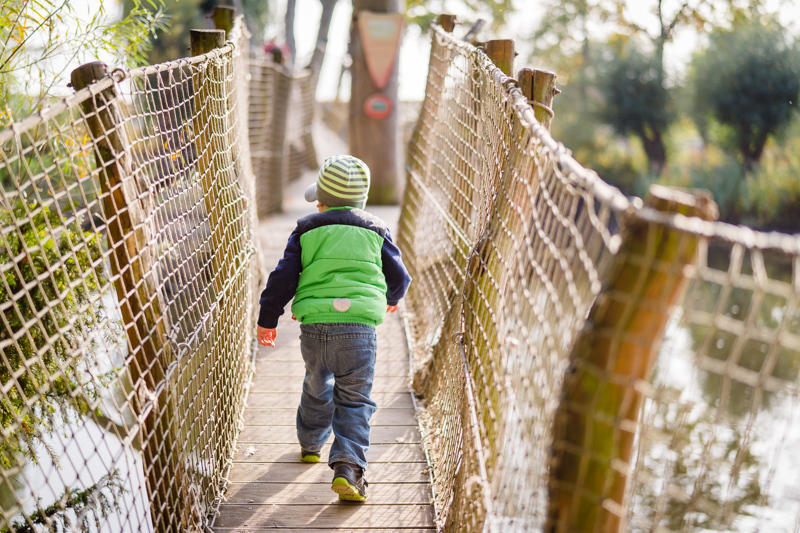 The lens you choose focused on certain kind of opportunities, and the lens marks the path. Eg. if you bring an 85mm, you will have to step back more, or get close more. If you bring a 20mm lens, you’ll usually want to get super close and think of the background angle, if you bring a 135mm you’ll be very limited, but will see with the details in mind, and will walk i ways to maximize avoiding obstructions. The only reason I didn’t give up on carring mostly manual is Techart Pro for the same exact reason: smaller children. It’s interesting to know which kits you use but there is one thing I‘m dying to know…. How’s many lenses do each of you actually own? David had suggest he had more than listed here and I certainly though Bastian had many more Laowa and Voigtländer lenses…. It seems I have to disappoint you, the only lenses I own which are not in the pictures are the Laowa 15mm 2.0, MS-Optics 135mm 2.4 and Sigma 150mm 2.8 macro. Thanks for your reply. I‘m not disappointed at all. 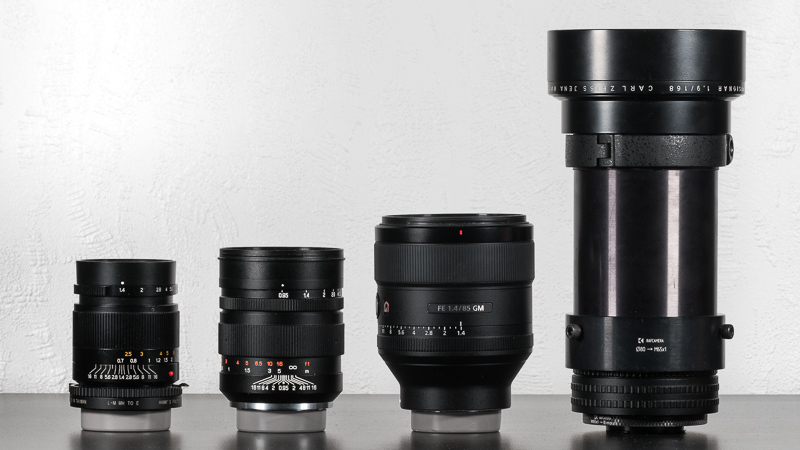 I was just curious to know if you were still using Voigtländer lenses. I guess you’ve sold the Laowa 10-18mm zoom too. Your reviews and images were one of the reasons I have a few of them. I guess the key point here is that there are so many options for E-Mount (either native or adapted) that sometimes it‘s difficult to choose the ultimate set of lenses that work for you. Some of the lenses reviewed by me are just loaners from the manufacturer (it is usually stated in the review, as is the case with the 10-18mm). We cannot buy/keep all the lenses we review for obvious reasons. I am/was a Fuji-Guy and I’m really receptive to G.A.S. ! It’s exactly my kit. 21/35/85 I suggest to add Pocketpano lens grip, useful when take off lens and to find aperture ring. My favorite topic and something I spend far too much time on. 1. 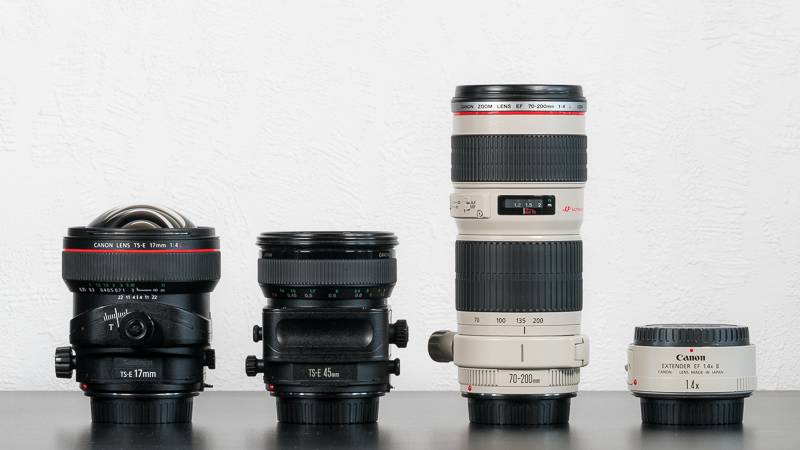 The f4 trio of the 12-24mm f4, 24-105mm f4 and 100-400mm. Very good versatile lenses. 2. 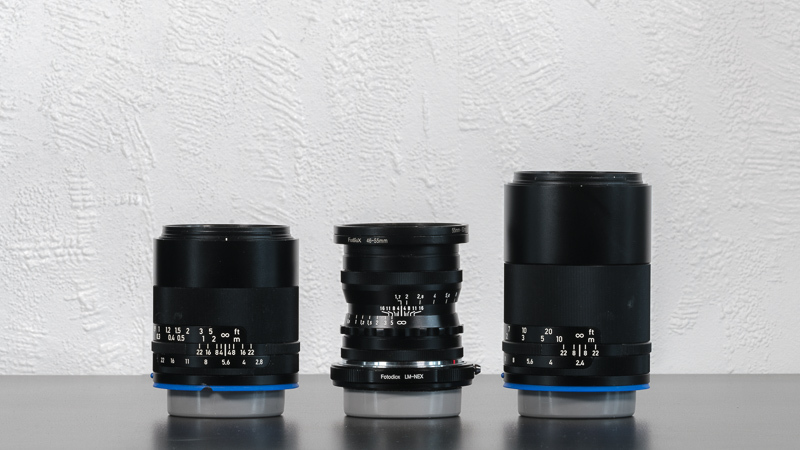 Three Batis primes of the 25, 40 and 135mm. I will probably eventually acquire the remaining two Batis lenses at some point to complete the set. I like the idea of having one line of all the same lenses for consistency even if some of the individual pieces are less spectacular. Was previously using Loxia primes, which were spectacular, but I got tired of manual focusing all the time so switched over to Batis lenses. In my opinion, they’re almost as good in image quality overall with a much more rugged build and autofocus. I think a very useful and practical, yet not glamorous addition to this article, could be a short article on lens and camera care, cleaning, carrying and storage. There are plenty of lens puches out there, bags, cleaning kits, dry cabinets, etc. I think these un-charismatic elements can be very important when you amass a large and valuable lens collection or photography gear array. Lenses shake and dance around in many bags, many environments have tons of dust and humidity that can shorten the life of photography gear, and make it more expensive than it already is. I think this practical aspect is part of the ownership when it comes to cameras, lenses, tripods, filters, etc., and it might be an interesting topic for this blog, which – and rightly so – encourages the appreciation and preservation of legacy manual lenses sometimes older than the readers of this blog themselves. Maybe good care practices, relative to specific gear, could be added to reviews as part of the handling section. Thx for talking about your kits u use. I can fit them both in a small haversack and take them to work with me if I’m going to shoot around DC in the evenings. If I’m carrying my backpack, I can add the 28 1:2.0 if I want a prime for evening long-exposure (and the 21mm UWC if I want to) and a tripod. I won’t be giving up the Tamron anytime soon, but I’d like to add the 17-28. eventually. Not interested in either of the 70-200’s, but I would possiblysell the 70-300 and get the 100-400GM if I can find it at a non-comically expensive price. Perhaps used. I am looking for a compact lens to complete a ‚light travel‘ kit for alpine adventures to capture the night sky in particular the milky way. Therefore, I am looking for a (more or less) light but mainly compact lens to complete my kit. Currently I am using the VM 35 mm f/1.7 lens (stopped down) to capture tracked and/or stacked multi row panoramas. However, I would like to simplify this process using a faster wide angle lens. Part of my ‚lightweight kit‘ are currently the CV 15 mm f/4.5 and the mentioned VM 35 mm f/1.7 lens. Part of my ‚AF kit‘ are the 24-105 f/4 and 100-400 GM lens. Since I share most of the preference with your travel kit I would like to understand if you would still prefer – in this case – the Loxia 21 mm f/2.8 lens over the 24 mm f/1.4 GM lens? Surely, I don’t consider both as a ‚astro-only’ lens even if it would be the main purpose (both: strong vignetting wide open, nearly same weight; Loxia: compact, very nice sun stars; GM: fast, larger but not too large). Thank you all for all your great work and very comprehensive and informative reviews. P.S. I am not really tempted to go for the Laowa 15 mm f/2.0 lens since I already own a 15 mm lens (light & compact). With a 21mm or 24mm lens I would still be taking panoramas, if you want to avoid that completely I would replace the 15mm 4.5 with the Laowa 15mm 2.0. That lens would also make sense to carry alongside the 24-105. GM 24mm 1.4 or Loxia 21mm 2.8: maybe not so much. The most cost effective option would be to get a 5m PCX filter to make the VM 35mm 1.7 usable for astrophotography at wider apertures (see this article). So far I haven’t seen a single notable astrophotography picture taken with the GM 24mm 1.4, mostly due to the fact that the lens was only released after last year’s milky way season. In my (not perfect) sample of the lens I saw some questionable coma behaviour as the focal plane with best sharpness was not the one with lowest coma and vice versa, I saw some other trustworthy people reporting the same findings in the meantime. Therefore at the moment I would not consider it the ultimative astrophotography lens worth 1600€. At least not until I have seen some actual milky way pictures that should show up during this summer. Thank you for your fast and detailed reply. I am already using the VM 35 mm f/1.7 with the Opto Sigma SLB-50-5000PM. The only ‚problem‘ I see is the quite noticeable vignetting wide open which is sometimes hard to compensate for in panoramas. With a 21 mm or 24 mm I agree that taking a panorama is key for capturing the full milky way, but compared to a 35 mm a 24 mm or 21 mm lense would cut the amount of images in half. Prior your feedback I was tempted to go for the Loxia 21 mm f/2.8 (compact, nicer sun stars) but maybe I will remain patient (at least try to) and will wait for some first astro shots of the 24 mm f/1.4 GM and watch it closely. 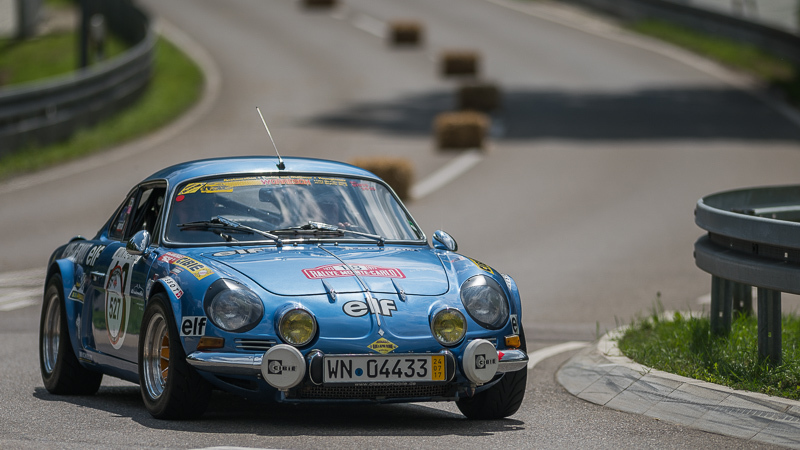 One can always compensate a wide angle taking a panorama. A second review which I watched with respect to the 24 mm f/1.4 GM is this here. Bastian, do you think about adding the FE135/1.8GM to your portrait kit? And will the Carl Zeiss Jena Visionar 168mm 1.9 stay then? Do you think the amount of subject isolation of the zeiss will be relvant to keep it? 1.8/135 and 1.9/168 are very different things. The first one needs a Ø75mm front element, the latter an 89mm one. For the bokeh that is a very significant difference. Personally I have zero interest in getting the GM 135mm 1.8.
therefore I see it more as a specialized lens for indoor sports or theater documentary. For portraits I greatly prefer the GM 85mm 1.4: noticeably less mechanical vignetting and slightly undercorrected SA @f/1.4 for a smoother look. For landscape and architecture I gladly take the highest resolving, most contrasty lens I can find. For portraiture I care way more about (bokeh) rendering.